The Hurt Locker (Kathryn Bigelow, 2008) - Won 6 Oscars including Kathryn Bigelow as the first women to win the Academy Award Best Director. 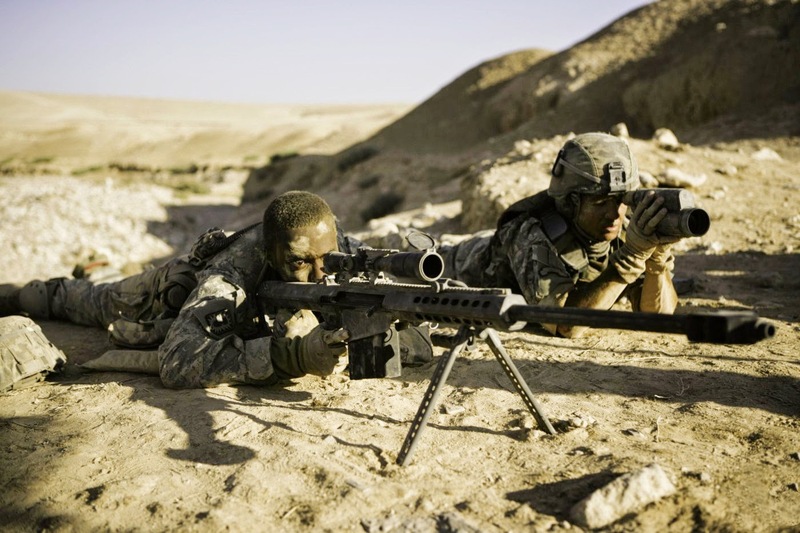 Following the death of his predecessor, Sergeant William James (Jeremy Reiner) is assigned to specialist army bomb squad during the Iraq War. However, his work ethic and maverick methods put his squad mates on edge when they find themselves in the midst of an ambush. It's surprising to think that before this film, no women had won Best Director at the Academy Awards - naturally this had to be included on my list. Kathryn Bigelow has become recognised for the way she portrays masculinity and manhood in her films and The Hurt Locker is no exception. Whilst it is very much a character piece and a social statement on war, it is very much an edge-of-your seat thriller. For me, it is particularly standout in the way it both explores and celebrates the self-destructive military antiheroes and their inability to disconnect when they arrive home from war. An outstanding piece of cinema. Bigelow's other films include Point Break (1991), Zero Dark Thirty (2012) and Strange Days (1995). Lost in Translation (Sofia Coppola, 2003) - Won 1 Oscar and another 96 award wins and a further 122 nominations. An aging American actor, Bob Harris (Bill Murray), arrives in Tokyo to film a whisky advert and meets Charlotte; a young college graduate who is left neglected by her celebrity photographer husband. 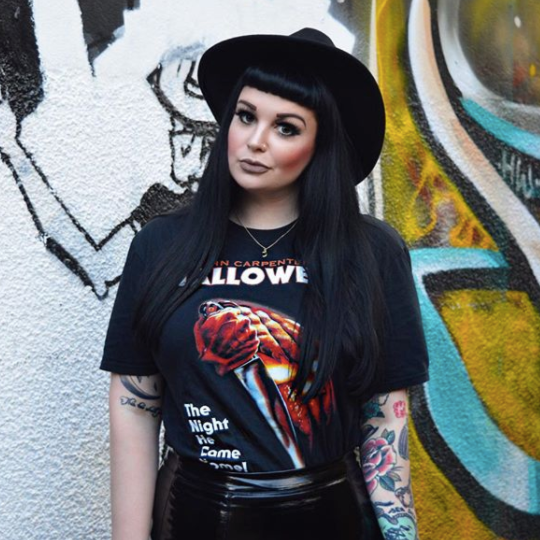 Charlotte is left feeling detached from her husband's lifestyle and disillusioned about their relationship whilst Bob's own 25-year marriage is strained as he goes through a midlife crisis. Having met in the Tokyo hotel, the pair form an unlikely friendship. 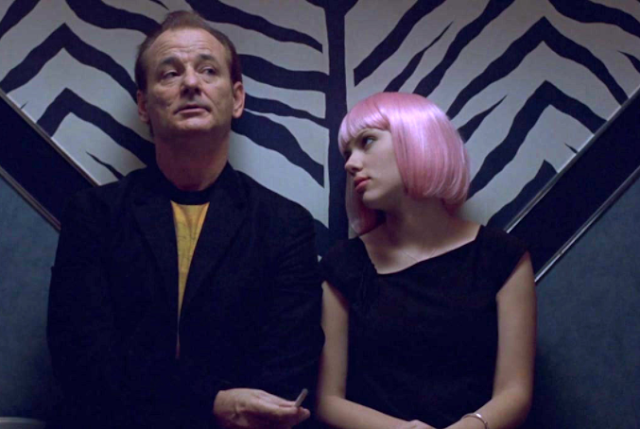 Sofia Coppola may be the queen of films about girls on the cusp of womanhood but Lost in Translation explores two people at two entirely different places in their lives. Beautifully stylised and with stunning cinematography by Lance Acord, Coppola is able to switch seamlessly between hilarious comedy and intimate romance within the magical setting of Tokyo. When I first saw this, I was very much on the fence and it took a while for me to revisit it but I'd strongly recommend giving it a watch, alongside some of Coppola's other films such as The Bling Ring (2013), Somewhere (2010) and The Virgin Suicides (1999). Little Miss Sunshine (Jonathan Dayton, Valerie Faris, 2006) - Won 2 Oscars and received 68 other awards and 105 nominations. The Hoovers are a stressed fueled, dysfunctional family. Father, Richard (Greg Kinear) is desperately trying to get his business venture off the ground with little success; Uncle Frank (Steve Carell) is a shamed professor whose recent failed suicide sees him living back with his sister and brother, Dwayne (Paul Dano), is a mute. However, when seven-year-old Olive (Abigail Breslin) is invited to compete in the "Little Miss Sunshine" pageant in far-off California, the family decides to put their squabbles aside and set out on a road trip in support their daughter. OK so I'm cheating slightly on this one as Jonathan Dayton is a co-director but it doesn't change the fact that this is still directed by a woman. Little Miss Sunshine is way up there on my favourite films of all time and so I just had to include it. Whilst it was sold as a sharp, dry-humoured comedy, the film also features some deeply moving scenes which say a lot about humanity and the human condition - carried out by a phenomenal cast. I cannot recommend this film enough and it is impossible not to laugh (and maybe even cry) at this fantastic narrative about family and the importance of being weird. Wayne (Mike Myers) and Garth (Dana Carvey) are two best friends from Chicago - broadcasting a talk-show called "Wayne's World" on local public access television from Wayne's parents' basement. However, when the show begins to attract the attention of a network executive, Ben (Rob Lowe), who wants to produce a big budget version of the show, things don't quite go to plan. 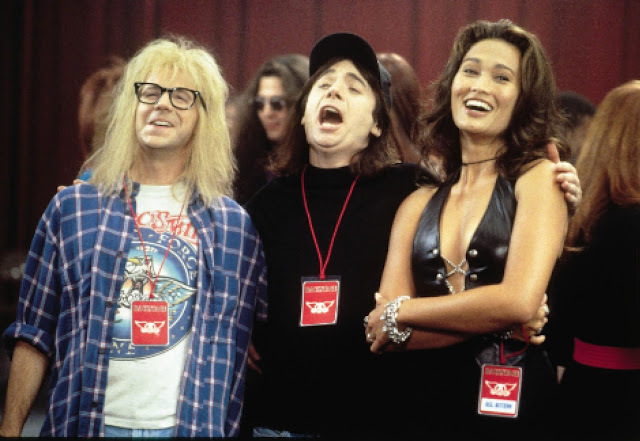 Battling against the studio, Wayne and Garth must work to save their show whilst also stopping Ben from trying to steal Wayne's girlfriend, Cassandra (Tia Carrere). Without a doubt, Wayne's World is another one of my all time favourite films and so it only seemed fair to include in this list. Arguably, the film runs on a thin plot but let's face it - you don't watch a comedy such as this for it's awards recognition. The incredible, highly quotable jokes and hilarious performances and writing from Myers and Carvey is what makes this a true classic. If you haven't seen it yet...where have you been? My whole childhood was this movie. Spheeris' vast list of works also includes The Little Rascals (1994), Black Sheep (1996) and The Decline of Western Civilization (1981). 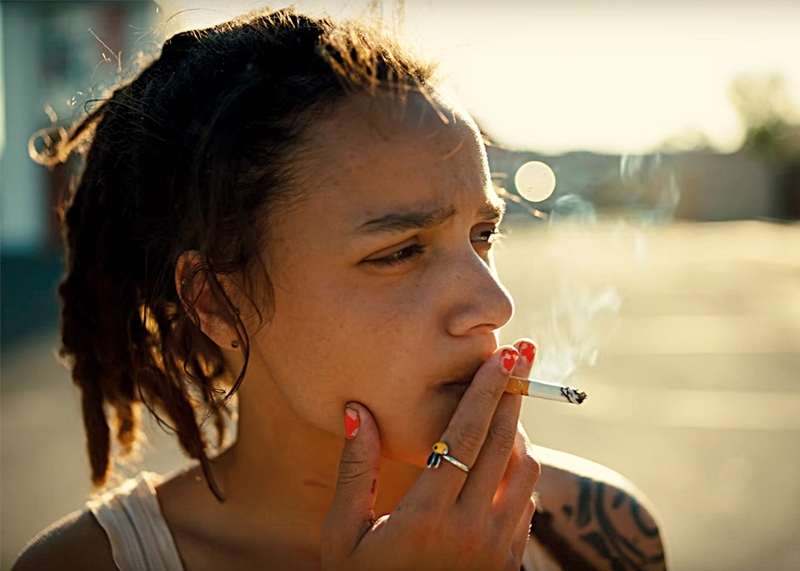 American Honey follows the story of Star (Sasha Lane), a young girl who has suffered abuse within a troubled home. Desperate to escape her situation, she decides to run away with a traveling sales crew who drive across the American Midwest selling door-to-door subscriptions. Finding her feet in this gang of teenagers, one of whom is Jake (Shia LaBeouf), she soon gets into the group's lifestyle of hard-partying nights, law-bending and drugs. I'll be honest, I wasn't 100% sold on this film the first time around. There are times when it felt too long with very little actual plot points but it certainly holds the attention thanks to the performances by LaBeouf and the cool charisma of Sacha Lane. What really sold this film for me, was the incredible cinematography and the narrative which is ultimately a coming of age drama. Selma (Ava Duvernay, 2014) - Received 58 award wins and a further 88 nominations, won 1 Oscar and was nominated for 2. A powerful civil rights drama following the final marches led by Dr. Martin Luther King Jnr. (David Oyelowo) in 1965. 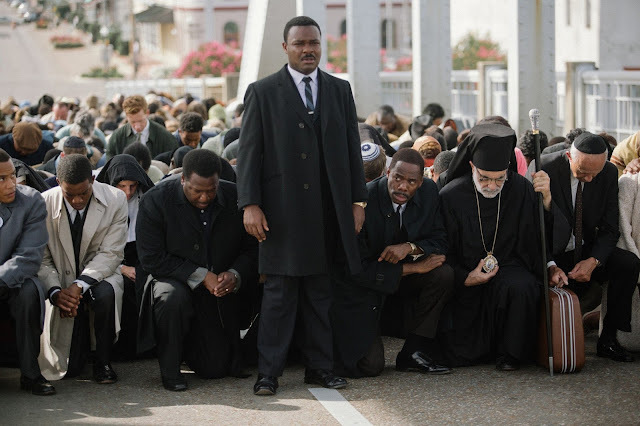 Staging a series of peaceful protests, Selma, a small town in Alabama, becomes the theatre of a freedom march that is met by a bloody and violent resistance at the hands of the local authorities. In a bid to gain the right to vote without any tiered scrutiny, King is set to change the course of history as he and his fellow activists approach the final push for equality. Selma is not entirely without it's flaws but cinematography is still well and truly there with some scenes beautifully shot. DuVernay plays on the biggest strengths of the film - the outstanding cast and the narrative's powerful message. Oyelowo delivers a truly heartfelt and moving performance which is truly Oscar-worthy. He is backed by a rich supporting cast, including executive producer Oprah Winfrey, dignified in the opening scene (as Annie Lee Cooper) where she is denied the right to vote by a racist bureaucrat, while Tim Roth, (as Alabama governor George Wallace), proves himself to be a pleasant surprise. Some note worthy cameos also come from Cuba Gooding Jnr, Martin Sheen and Giovanni Ribisi. An Education (Lone Scherfig, 2009) - Nominated for 3 Oscars and another 35 wins and 89 nominations. Set in 1961, Jenny Mellor (Carey Mulligan) is an intelligent 16-year-old schoolgirl preparing for Oxford University when she falls for a charming older man, David Goldman (Peter Sarsgaard). David shows Jenny a life she never thought possible; taking her to Paris, concerts, clubs and fine restaurants whilst also manipulating her parents into approving of the relationship. However, having dropped out of school to pursue a life with David, giving him her virginity and innocence, Jenny is shocked to discover that he is not who he says he is. An Education really is a film with unforgettable central performances from Carey Mulligan and Peter Sarsgaard. But whilst it's the stylish settings and acting which truly make this film worth a watch, it has a much deeper rooted meaning which arguably appeals to all women. Based on the memoir of journalist Lynn Barber, the film becomes a story of grooming - a young women being taken advantage of by an older male. Ultimately, this is something which is all too common and I'm sure many women can relate to when looking back at their teenage years. Scherfig does an excellent job of handling such a subject which is rarely portrayed in such a genre. Based on the Bret Easton Ellis novel, Patrick Bateman (Christian Bale) is a wealthy New York banking executive, consumed by the yuppie lifestyle. Despite having a fiancee (Reese Witherspoon) and an active social life, Patrick hides his alternate psychopathic ego from his co-workers and friends as he escalates deeper into his illogical, dark and gruesome fantasies. OK so I know I mentioned this one recently but it's just as valid. Some people may fail to see how American Psycho is a feminist film due to the poor treatment and sexualisation of the female characters. However, it can also be argued that this in itself is a social statement. Ultimately, the film is a satirical narrative about fragile masculinity and the male compulsion to compete with each other. Set within the hyper-reality they've created for themselves, the women are presented as less important - something that the director shines a harsh yet somehow comedic light on. With an incredible story that also sees performances from Jared Leto, Willem Dafoe and Chloë Sevigny, American Psycho is forever on my list of top dramatic horrors. Well, that's it for my favourite films by female directors. 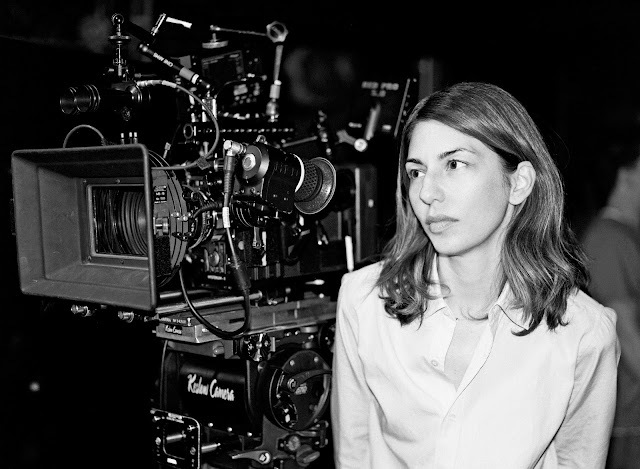 What are some of your favourite films which celebrate women in the film industry? As always, I love reading your comments so please do leave me lots of lovely ones down below. That is an excellent list. The only film I haven't seen on it is American Honey (2016). An Education (2009) is where I realized how good Peter Sarsgaard is at playing a cad. I was yelling at my tv set when I first saw the movie and what his character had done to the girl who played Sally Sparrow. Little Miss Sunshine and Lost in Translation are two of my faves. I liked how the dynamics of the family in Little Miss. I think last year's Captain Fantastic might have done an homage to it regarding a family doing something to honor the wishes of a dead person. Lost in Translation has many wonderful scenes and it strikes a chord with me regarding the loneliness of being a traveler. I have a problem with only one scene and it is the one where Anna Faris (who is now Chris Pratt's wife) says she is using the assumed name 'Evelyn Waugh' : https://www.youtube.com/watch?v=i86FbeyKK1U ScarJo's character assumes she doesn't know that Evelyn Waugh was a man but there is nothing to show the Anna Faris character is ignorant of this. What if the Anna Faris character was a big fan of the book Brideshead Revisited? I noticed on your twitter account that you mentioned that you and Jack will visit Germany again. In my view, there is a lot going on there that is positive. I think that they still are not charging tuition for even foreign nationals at their universities. And there are many classes that are conducted entirely in English. It seems like a good place if you and Jack want to get graduate degrees. If I read it right that you will be heading to Germany, which places will you visit? I hope you don't mind the length of my post, Sophie. There are few good places to discuss movies anymore since IMDb shut down its message boards. Sorry if I am rambling too much. clarification: I liked the family dynamics in Little Miss Sunshine. I had to Google Sally Sparrow, sorry haha. I didn't take that from Selma actually - I took it more that he was being framed for having a single affair when in actual fact he wasn't. They'd just cut sounds together? Although I haven't seen it since the cinema so maybe I'm wrong. Yes, I know your degree was in film studies with a specialization in horror :) I think I may have the specific terminology wrong, so please correct me. Speaking of horror, I was able to watch Cannibal Holocaust (1980) and I understood that this was the origin of the "found footage" subgenre in horror. Oh, I saw Get Out as well and I enjoyed it. As for Germany, I was thinking I might like to get a graduate degree in Germany -- a Masters in Computer Science; tuition alone costs $45-60K a year in the US. It's better in the UK where tuition is legally capped at £ 9,000 plus the cost of inflation but the deal in Germany seems amazing. Of course, I'm sure it's difficult to get accepted in their programs. I took a look at the scene in Selma and MLK is with his wife Coretta while they are listening to the tape. At first, MLK tries to deny that it's him but Coretta says she knows what he sounds like. She later asks him if he loves her and then asks if he loved any of the others. In my view, this humanizes them and does not diminish how right their cause was in the fight for civil rights. Ah great, I can't wait to see Get Out. It comes out this week here so I'll be going at the weekend. It's 9k a term in the UK so you still end up with a hefty bill but that doesn't include your accommodation or living costs. Also, most students aren't even at the Uni much during the week. For example, if you're in 3 days a week for lessons (some of them not all day) and you're only in class from May - October, that's a lot of money. I'd imagine that to get free education in Germany you'd have to be German or be a citizen or something? Else everyone would just go there? You're absolutely right about it not including room and board but the case is the same in the US. The $45-60K annual tuition bill doesn't include room and board for most well-known universities. Oh, I see. There is a difference between tuition for undergrad studies and for graduate studies at Cambridge: http://www.graduate.study.cam.ac.uk/finance/fees with them charging about twice the amount UK citizens get charged. I think the German no tuition policy is still in effect but the video link I gave is a few years old. But now we know the cap doesn't apply to graduate studies. Sky high tuitions are a really big problem in the US. People going to college have to take on a massive amount of debt. It's a drag on the economy because with the debt it's hard for them to buy cars and homes. And I wonder what will happen to the EU students who are being charged the same amount as UK residents. After Brexit is implemented, I guess their tuition will be raised to the same amount as other non-UK citizens.